First, after some tests and removal of the back cover, resistance tests of the heater strip turned up OK, a cold resistance of about 3 ohms. 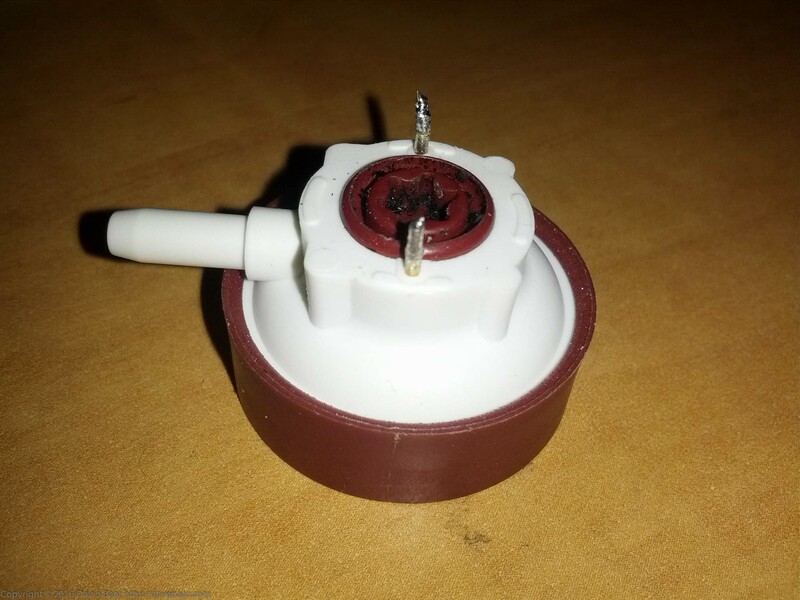 However, in-situ live tests done with the unit inverted, by pressing carefully on the plastic parts of the interlocks (while carefully avoiding live 120VAC wiring!) showed no voltage being applied to the heater. The heater voltage, about 20V AC, is normally applied via a 24VDC relay. I tried bypassing that relay with a jumper, and, that caused the heater strip to heat. However, upon taking that relay out of circuit and testing it with a DC power supply, the relay turned out to be functioning normally. 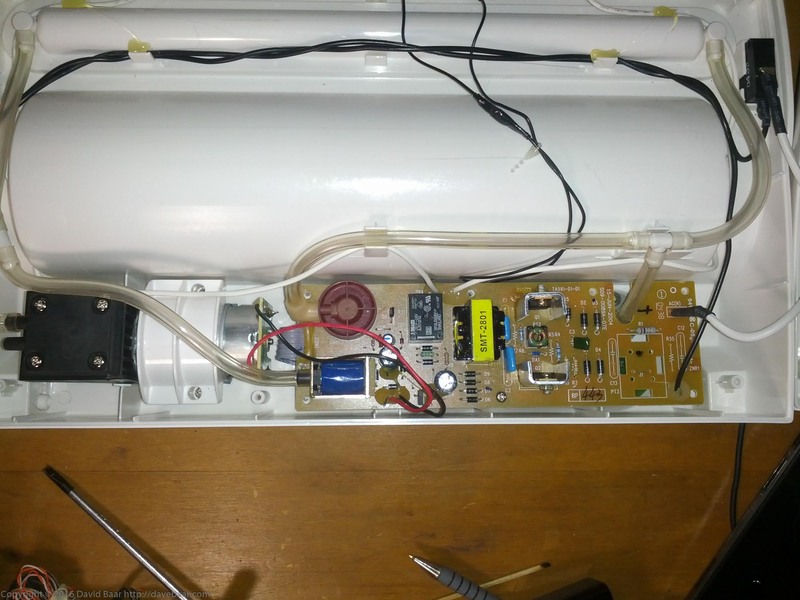 After more investigation, I finally tried testing the vacuum-activated switch as shown in the pictures; heat is not normally applied unless sufficient vacuum has closed that switch. That switch turned out to be the culprit; it was stuck with the switch open. 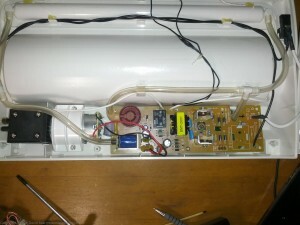 Even direct application of system vacuum to that unit from the DC motor intake was not sufficient to close the switch. 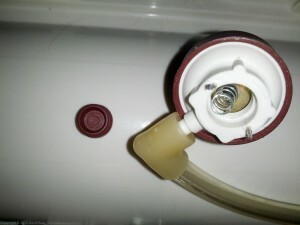 Dis-assembly showed a spring inside had shifted position and been crushed against one side of the switch. 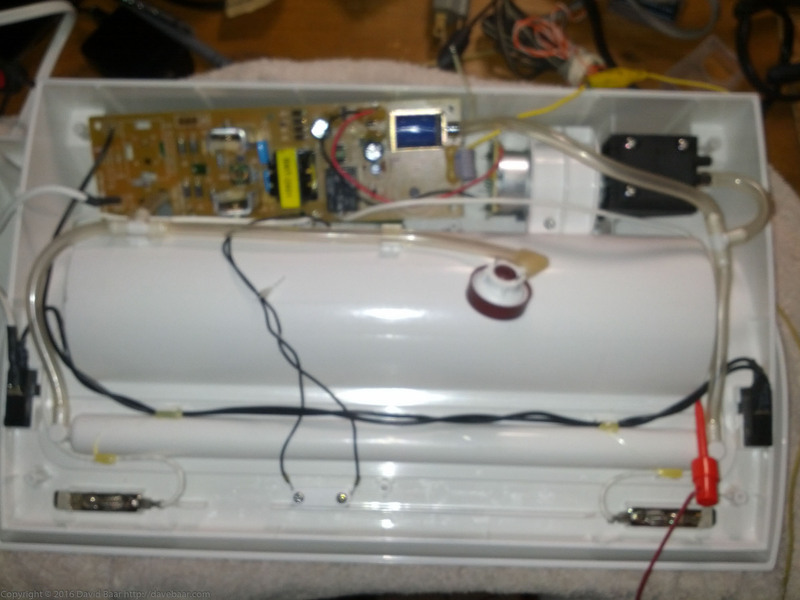 I extracted the old damaged spring, made a new one with a spring out of an old pen, re-assembled, and, voila, the vacuum sealer heater is now working fine. Successful test with a bag showed both vacuum and heat sealing functions to be working well. Thank you so much for this article. I was just about to heave mine in the trash until I saw this page. My spring wasn’t broken, but it must have had some dirt/dust inside not allowing to make a good connection. A couple of shots with the air compressor cured all. Thanks again Friend! Jeff, you’re welcome. Glad you got your sealer fixed and glad of the feedback. Hi, thanks for the article. I’m hoping to install a bypass switch for that sensor so I can seal at my own will. 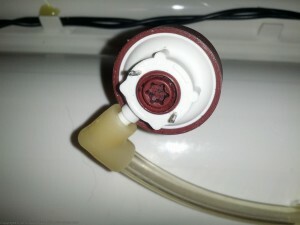 But shorting the switch isn’t causing the unit to change cycles to the sealing mode. (I can see why later models simply have a seal button). Any ideas where to install a user switch on that board? Thank you! I’d love to not have to buy a new one for a function I can install myself.